Bio-Sol : the Solution to your Septic Tank Problems! The bio-solution to your Septic Tank Problems! 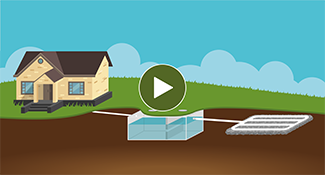 Innovations in biotechnology now allow you to keep your septic tank and drainfield much longer. RC-4 is used for the regular maintenance of your septic system. Simply flush down the toilet to insure a proper functioning of your septic tank and drainfield. Tela-Chem is formulated for the degradation of grease in drain lines. It is used as a shock treatment to restore blocked up drainfields. Tela-MS7 is used to digest hard encrusted septic waste. When doing a shock treatment, it completes the work of Tela-Chem. Save $15,000 or more by doing a shock treatment. Choose products that meet Environmental Standards. Go for the best proven results on the market! Our company began in 1992. By listening to clients and doing our best to solve their septic system problems, Bio-Sol rapidly became the leader in treating septic waste. The company now offers a biological and economical solution to all regions of Quebec.